Through her label Aarohi Singh transforms mundane everyday objects into intelligent masterpieces. What is common between Aarohi and Art? Well they both start with the letter ‘A’. 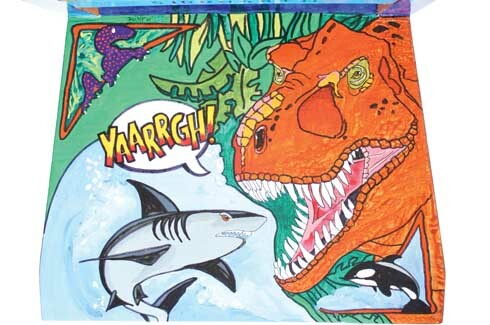 Combine the two and you have Art by Aarohi. It does not take a lot to decipher what the brand is all about? It is all about Aarohi Singh’s ethereal art. 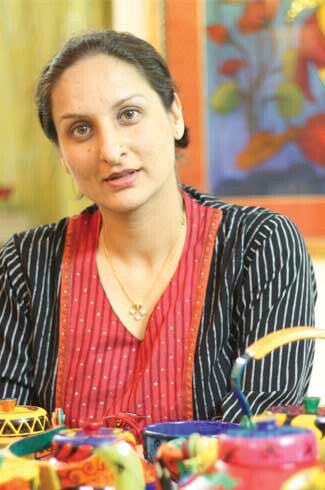 Aarohi Singh has been indulging herself in the world of art for the past 20 years. But the brand was incepted not until 2008. Interestingly, it all happened rather accidently, “Actually, I was looking for a website URL and everything that had my name in it was taken. I was in the process of setting up for a show and felt the need for a website that was more informative about me and my work. The URL ArtByAarohi.com was available and I took it up instantly. The next thing I know, the press started referring to my work as – from the label ArtByAarohi. And I became the artist/designer at ArtByAarohi!” says the designer. This label covers a very wide spectrum and everything creative designed by the artist falls under the ambit of the label, starting with writing the thoughts down to working across varied mediums, categories and genres. 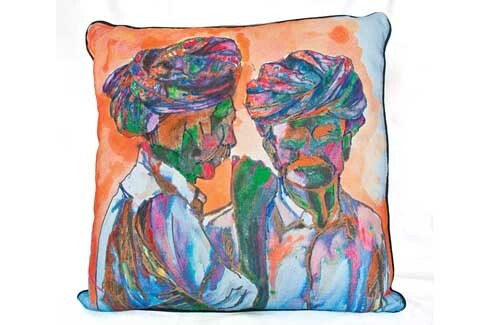 Be it watercolour or pastels or the very much “misunderstood” kitsch. 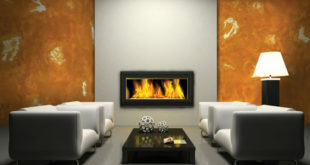 It is not only associated with fine arts, interiors or furniture design but also with apparel and personal accessories. The label also associates with projects that use Aarohi’s art as a basis for fund raising, especially for the causes she believes in. Aarohi Singh’s educational qualification lies in a degree in History and professionally she has been an Information Architect for the longest time. And it was solely on the basis of passion she pursued Art. Her first achievement took place when she sold her first piece of art at her first solo exhibition in the year 1994. And this is when the idea of converting her passion into profession struck her. 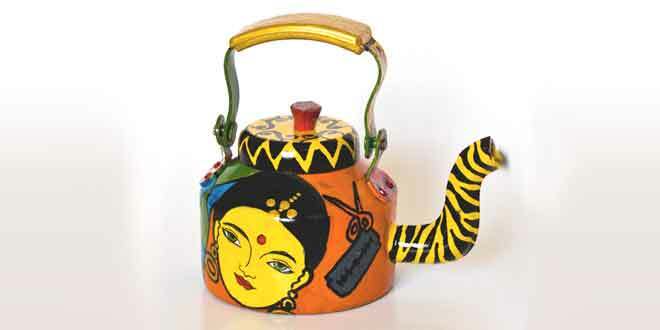 Speaking about her ‘Kitsch line’ Aarohi says, “The Kitsch line started with one kettle -’The kiss kettle’. And then I was hooked. My mind was full of a multitude of ideas just waiting to be painted. I could not get them out fast enough. Each piece is an individual, one of a kind piece. And each has a story or a specific thought attached to it. 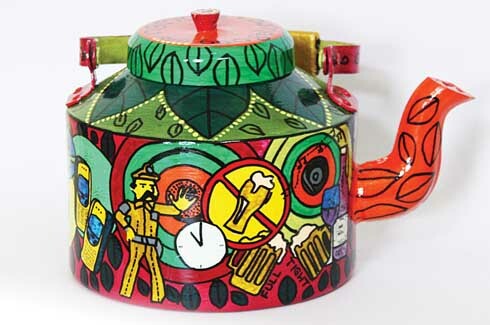 I repeat a theme but never on the same piece.” The idea behind the ‘Nazar Batoo’ kettle was derived from this Indian tradition of applying a ‘Kala Teeka’ to keep the evil eye away. 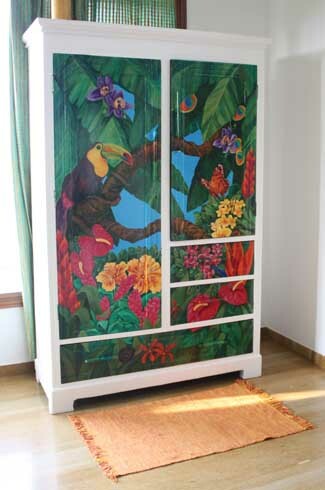 The artist believes in expressing herself honestly as part of the thought processes of developing her creations. “I don’t work on a piece keeping in mind whether it will sell or appeal to another person. I create for myself. It is only after that process is over, that I turn it over to the viewer to see what they make of it and if they connect in any shape or form to me or my thought process”, states Aarohi. 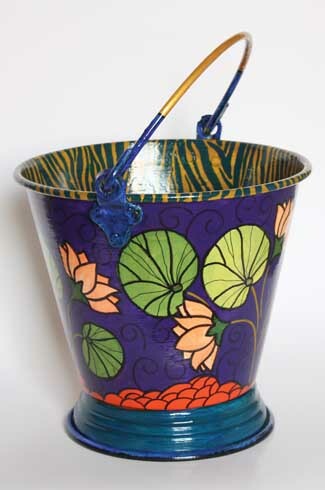 The design finds space on her canvas, kettle or furniture as soon as it pops up in the mind. And probably this is the reason why there is no fixed amount of time that goes into finishing the work. A Khiladi table or cupboard may take upto a week whereas a kettle may take two days of non-stop work while a canvas can go on for a month. The products are marketed via her website and Facebook page. 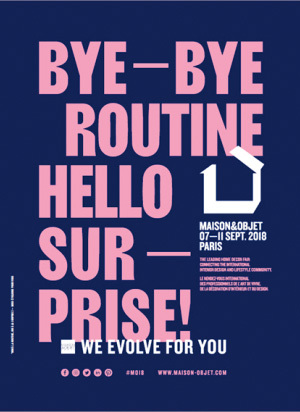 She also holds exhibitions of her work every year. 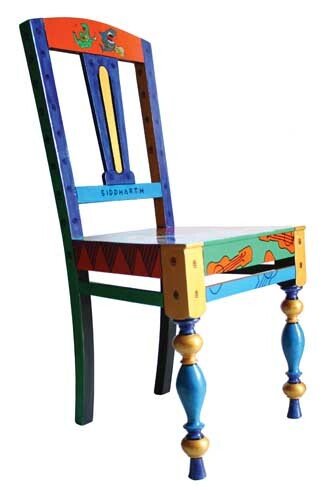 Some of her interesting projects include a Time Stamp Chair which involved painting two very old chairs. 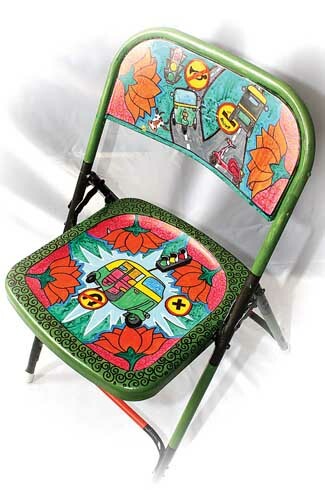 It was meant as the kid’s study table chair. 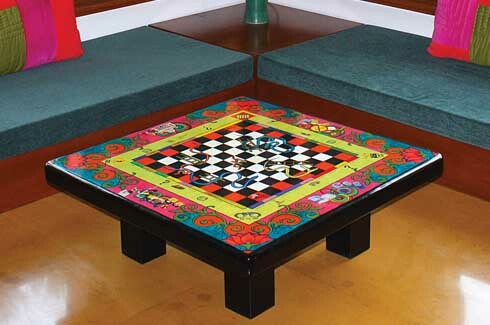 Another was a Khiladi concept table that was created as a memory keepsake for a family leaving town after a two year stint in an apartment complex. The table’s design was based on the rough architectural plan of their apartment complex. Its central core comprised references to chess and snakes and ladders, based on the path of the complex. The flip side of the table involved a complete felt base with four pockets to play a modified game of snooker/pool. And the areas uncovered by the games were covered by over a thousand photographs. 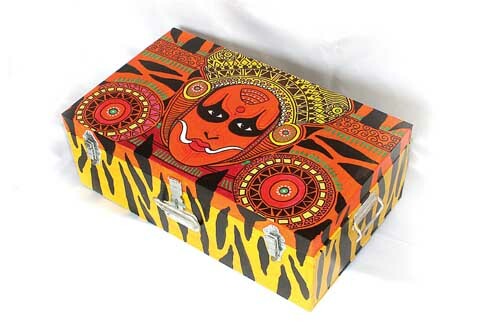 Art By Aarohi products are sold at a price range starting from Rs. 3500. Currently, Aarohi is working on an exhibition of large canvases, roughly 4×5 to 4×7 feet comprising of large faces.